'Hush, little baby, don't say a word, I'm gonna show you a mockingbird!' 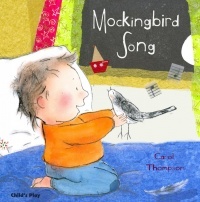 In this beautifully illustrated retelling of the traditional gifting song, Carol Thompson celebrates the unconditional love and warmth that surrounds a cherished infant. With a high emotional content, this is ideal for sharing during a special, quiet time.